We now offer an exclusive opportunity to ride with us two weeks to Hawaii in April 2019! Our trip to Hawaii in November last year was a great experience! The trip was so appreciated that we decided to make a trip to, in the place that is worthy of the name – a paradise on earth. We live on Kaula Farm in Kona on the Big Island, where we previously arranged several trips in collaboration with Inner Perceptions – a school for intuitive development. With a stunning retreat resort in beautiful countryside close to the sea in the picturesque little town of Kona on the Big Island. Biyunakademin and Fan Xiulan've taught and trained instructors in the United States for many years, including right here in Hawaii so we know the island well and has a good network of contacts for our events. This will be an exclusive trip for 10 participant, which gives you a very familiar feel with Fan Xiulan, in addition she teaches Peace Power Qigong will also give initiations and indentations in the stationary qigong. So are you ready to put your inner compass west, We can offer you a unique amazing wellness break in an exclusive small group of amazing Hawaii! Your interest, we urgently need (non comitting) and do you want to secure your place, you pay the registration fee. Pictures from the last trip you can see here. (Travel dates prelim. 17-30/4, Flights about 10000 kr + 29 890 SEK for the trip). "First of all, thank you for a great trip and Fan Xiulan course of the peace force qi gong. It is very good! Being in Hawaii was incredibly good for both body and soul. Hawaii is truly a paradise with wonderful scenery and magnificent beaches. 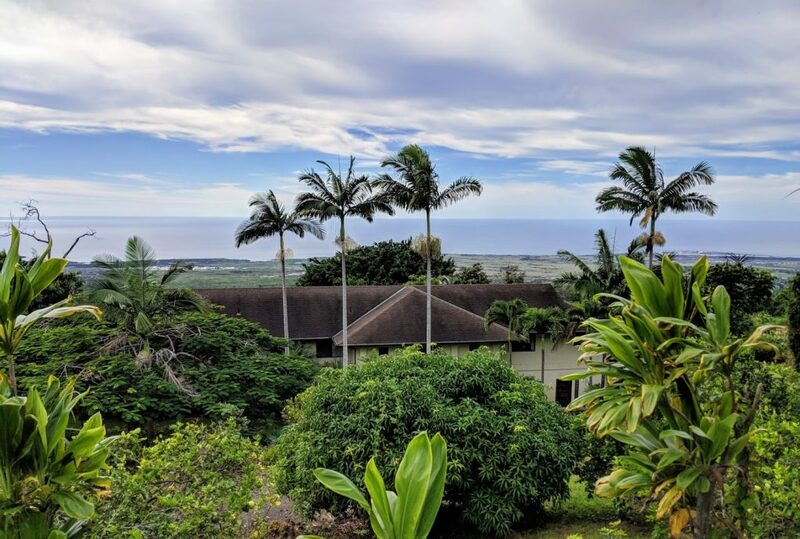 The course was held at the Kona-farm contributed to energy was incredibly strong and personally I had several wonderful spiritual experiences and insights. " "It was a very nice trip with many experiences. I was fortunate to travel by car on excursions with Hawaiian's wife Ilona told much about the various sights during the drive. " "Super Cozy to go on this journey with fan Laoshi! And good support from Niko. accommodation: Did Kaula farm was wonderful! Great room with a view. The garden, common areas with books on Hawaii and an abundance of Guanyinstatyer. Mat: Good food! Fine chefs at home. Liked the fish restaurant first day. And the glass stand inside the village. Did it worked well with cooking, was worried before that it would be too exhausting, but it went well." "Journey to Kona was well organized and went well. Cool with flower garlands around the necks! Undervisningsrummet was top. Power of Peace Qi Gong very well as we have continued to practice at home. Ilona was the best possible in every way. excursion targets, nature and power seats were very nice. Toppenguidning in Los Angeles. As a whole, we are very happy and enjoyed the beautiful scenery, sun, the heat and the wonderful sea. We have precious memories and experiences of a lifetime. " The tour price 29890 kr + ticket approximately 10000 kr. * Flights to Hawaii to return to Stockholm, economy class. Departure from Stockholm / Arlanda. meals on board. * Accommodation in a double room at the Wellness Center in Hawaii. * Niko Nygren, head instructor is with the journey. At the center - Kaula Farm in Hawaii will Ilona hönig to take care of us. * The program indicated excursions and program items and meals at Kaula Farm, and transfers, transport and entrance fees associated with the program. Local English speaking guide in Hawaii (Ilona). * In the days of Kaula Farm included meals (not those we choose to eat at the restaurant). * The meals are not included in the program are not included. * Excursions outside the program t.e.x. swimming with dolphins. * possible treatments, medical counseling, etc..
often do not provide adequate protection. vaccinations: No mandatory. Consult vaccination center. currency: US-dollar, Credit cards accepted more or less everywhere. Not compulsory for Swedish citizens. Note! You must have a passport valid for travel to the US. And fill in a form for travel to the US. Check with a travel agent. the registration fee is 2.000 kr/person. Final payment will be the organizer by 30 days before departure. Service fee for cancellations made at later made cancellations than 30 days 2000 kr/person, the ticket in travel agency rules. Number of participants for the trip is 10 personer. The ticket must be paid directly to the agent who is our co-organizer and the remainder to Biyunakademin, we will return in later mailings with additional payment info. Please contact Göran Jakobsson preferably via e-mail or leave a message on the answering machine. Goran pass the reports on to Biyunakademin. Program content without prior notice.